Investing in a quality exterior paint job can mean the difference between painting every few years or a paint job that will stand up for many years and provide your home with the protection needed to prevent deterioration and loss of value. All areas around your home, or business, including your shrubs, landscaping, roof, etc., should be protected from start to finish by drop cloths or poly plastic. All surfaces to be painted should be thoroughly pressure washed and cleaned. This step helps new paint to adhere to the existing surface and removes harmful occidents, pollutants and dirt. Mildew and algae (which can attack and degrade the paint coating from the outside or inside) should be treated and killed with a Jomax and bleach agent to target the spores and prevent future problems. 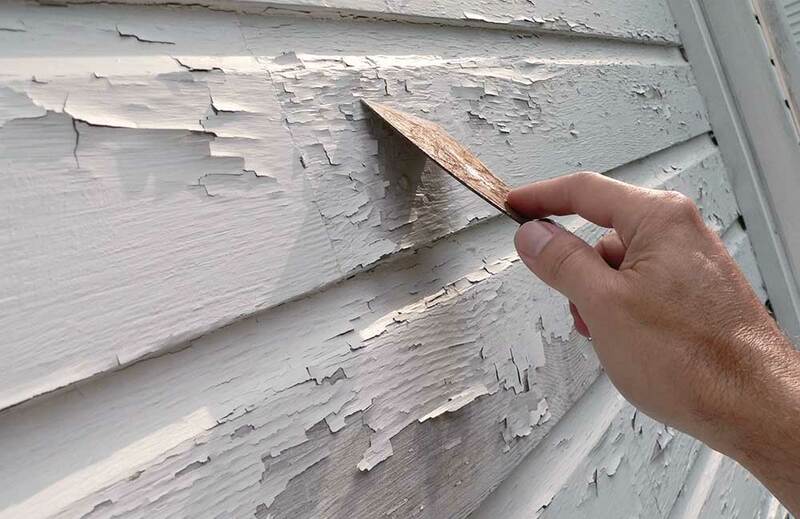 All areas of loose paint should be scraped. Further sanding and smoothing may be necessary for maintenance or cosmetic consideration. The proper primer should be applied to all bare wood and metal to assure proper adhesion of the new paint. This step also helps prevent future peeling in problem areas. Any loose caulking should be removed and replaced. Any open gaps should be filled with new caulking to prevent rainwater from penetrating below the surface. Ridings uses top quality OSI QUAD caulk for the best results. All loose nails should be re-set and re-puttied as necessary. Loose and/or milling window glazing should be replaced. Only quality materials should be used on and applied to all surfaces. There should be no smoking, inappropriate language or loud music at the site. Touch-up paint should be labeled and left for your future convenience. The work should be performed in a neat and professional manner by skilled craftspeople who are polite, friendly, and work efficiently.